Every April, the Eastman School of Music plays host to a prestigious, international vocal competition that highlights emerging artists with talent across musical genres and, unfortunately, is one of the best-kept secrets in Rochester. 28 semifinalists competed on March 7th and 8th in New York City for a position in the finals after coachings with industry professionals. The Kurt Weill Foundation for Music recently announced the 13 finalists selected for the 2019 Lotte Lenya Competition. They are: Carolyn Bacon (Portland, OR, 28), Danielle Beckvermit (Kingston, NY, 26), Daniel Berryman (Seattle, WA, 28), Timothy Bruno (Toledo, OH, 31), Jonathan Heller (Huntington, NY, 24), Jonah Hoskins (Saratoga Springs, UT, 22), Trevor Martin (Fayetteville, GA, 30), Florian Peters (Rheinbreitbach, Germany, 31), Katherine Riddle (Washington, DC, 28), Nyla Watson (Cleveland, OH, 28), Amy Weintraub (Fort Collins, CO, 24), Jeremy Weiss (Charlottesville, VA, 25), and Andrea Wozniak (Boston, MA, 28). This prestigious event gives participants the opportunity to showcase their versatility in styles of vocal music, including opera, musical theater, and specifically the music of German-Jewish composer Kurt Weill. 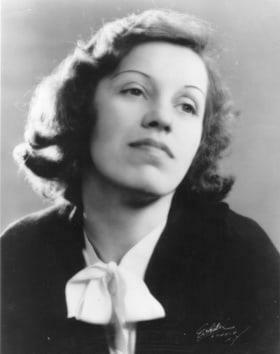 Weill was married to actress and singer Lotte Lenya (1898-1981), who was most famous for her stage roles and performances of Weill’s songs. The competition was established in 1998, the 100th anniversary of Lenya’s birthdate, to honor her legacy as a beloved and versatile actress, singer, and performer. President of the Kurt Weill Foundation is Kim H. Kowalke of Rochester. Dr. Kowalke is Professor of Music and Chair of the College Music Department at the University of Rochester, as well as Professor of Musicology at the Eastman School of Music. This semester, I have had the privilege of taking a class under his instruction focusing on the musicals of Stephen Sondheim, which has been a fascinating, eye-opening introduction to Sondheim’s profound influence on American Musical Theater, as well as a survey of how American Musical Theater has evolved and continues to do so. This topic reflects the philosophy of the Lotte Lenya Competition; to encourage young singers to develop skills in multiple genres and to prepare them to be successful in an ever-changing musical climate. Listen to a 2017 interview with Kim Kowalke. Finals for the Lotte Lenya Competition will take place on Saturday, April 13, 2019 in Kilbourn Hall at the Eastman School of Music in Rochester. Both the daytime round (beginning at 11:00 a.m.) and the evening concert and awards ceremony (beginning at 8:00 p.m.) will be free and open to the public as well as livestreamed. Finalists will compete for cash prizes ranging from $10,000 to $20,000. Judges for the finals will include Ute Gfrerer, Austrian opera and musical theater performer and Weill specialist, Adam Benzwi, opera and musical theater conductor, and Mark Lamos, artistic director of Westport Country Playhouse. 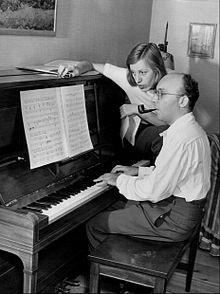 For more information about this year’s Lotte Lenya Competition and the Kurt Weill Foundation for Music, please visit: https://www.kwf.org/pages/pr-2019-llc-finalists-announced.html. Mark your calendars for Saturday, April 13, 2019 in Kilbourn Hall at the Eastman School of Music. You don’t want to miss the opportunity to hear and see these gifted performers live! The finals of the Lotte Lenya Competition, a competition for singing actors, are this Saturday, April 22, 2017, in Kilbourn Hall at the Eastman School of Music. The Daytime Round, the major portion of the competition, runs 11:00 AM to 3:45 PM. The Evening Round, during which winners are announced and prizes are awarded, takes place from 8:00 to 10:00 PM, also in Kilbourn Hall.